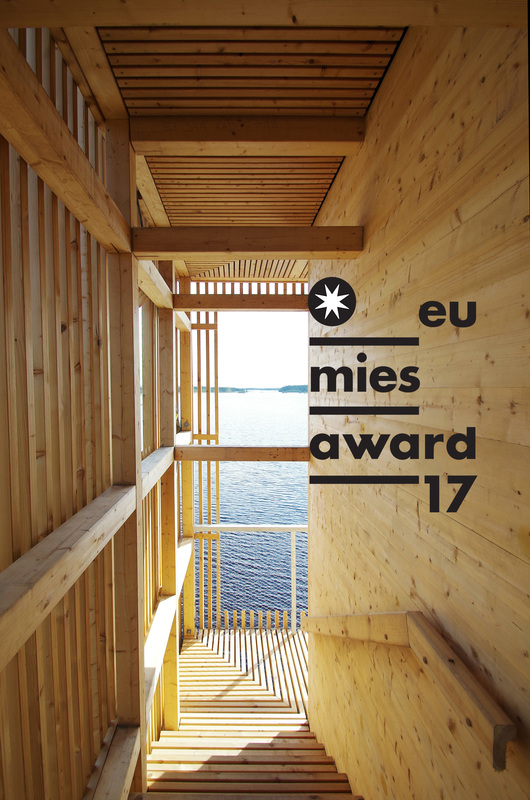 We are happy to announce that three buildings designed by OOPEAA have been nominated amongst the projects for the European Union Prize for Contemporary Architecture – Mies van der Rohe Award 2017. 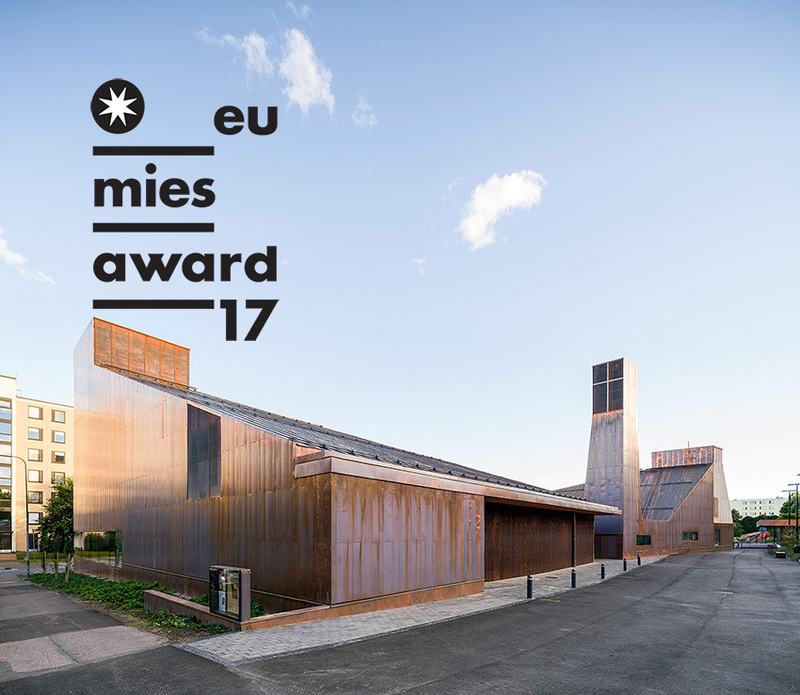 Launched in 1987, the European Union Prize for Contemporary Architecture – Mies van der Rohe Award is one of the most prestigious acknowledgments for European architects. Funded by the EU Cultural Programme and the Fundacio Mies van der Rohe(FMvdR) – Barcelona, the biannual prize gives credit to professionals who are developing the architectural practice through new ideas and technologies, to build better spaces and cities. (a hyperlink to Mies Foundation here? Kärsämäki Church and Kuokkala Church were selected as shortlisted projects respectively in 2005 and 2011, and House Riihi was nominated for the 2015 award. 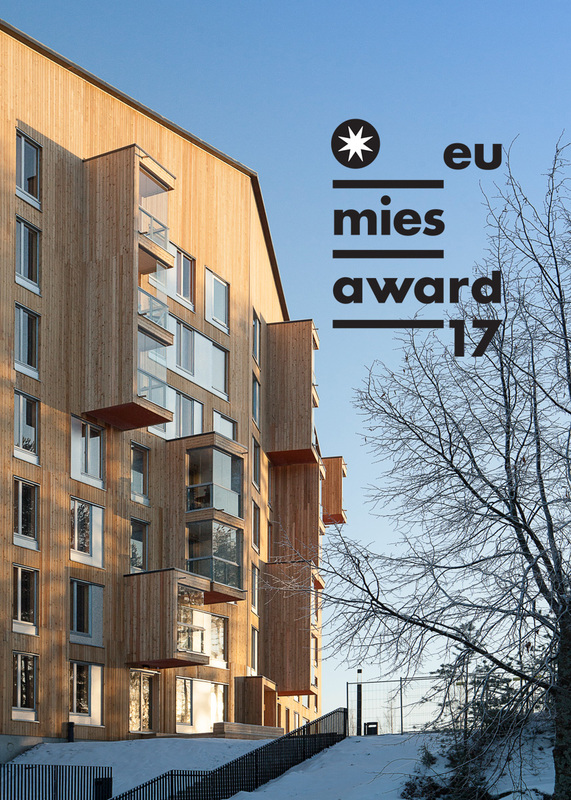 We are glad to see the work of OOPEAA nominated once again as a candidates for the prize, this time with three projects, Puukuokka One, the first eight-story wooden apartment building in Finland, Suvela Chapel, a multifunctional space designed to provide a place for the people of one of the most culturally diverse neighborhoods in Finland to come together, and Periscope Tower, a giant wooden periscope structure that with the help of a large mirror serves as an observation tower engaging the viewer in a dialogue with the landscape in a way that is accessible to all. Completed in 2014 (first apartments ready) / 2015 (final completion), Puukuokka One is the first eight-story high wooden apartment building in Finland. It explores the potential of modular prefabricated CLT construction to meet the goal of providing high quality, environmentally responsible and affordable housing. Commissioned and built by Lakea, it is an energy-efficient and ecological trio of multi-story wood-framed apartment buildings in the Jyväskylä suburb of Kuokkala, neighbouring the Kuokkala Church also designed by OOPEAA. The goal was to find a solution that makes the best possible use of the technical and aesthetic qualities of CLT and to create a wooden building in large scale with a distinct architectonic expression of its own. The Puukuokka apartment complex is comprised of three 6-8-storey buildings. The first building in the Puukuokkacomplex is now complete and the other two buildings will be built over the next two years. The goal was to create a building that combines the sense of warmth and privacy of a single-family dwelling with the semi-public character of the shared spaces of an apartment building. The town plan has been tailored to meet the needs of the building complex making it possible to count only part of the shared spaces in the building volume and allowing an open and spacious feelin the shared spaces without compromising the amount of space offered in the individual units. Puukuokka served as a pilot case to develop and test a CLT based system of volumetric modules. Working with CLT enabled several important aspects in the project: Itmade it possible to create a spacious hallway and atrium space with a lot of light realized in an energy efficient manner as a semi-warm space. The insulating qualitiesof massive wood allow for controlling the temperature of the individual units independently. The use of prefabricated volumetric CLT modules made it possible to integrate the piping for heat, water, electricity and ventilation in the wall structure in the hallway making it easily accessible for maintenance. This arrangement also allows for an efficient organization of the plan. The entire load bearing structure and frame is made of massive wood composed of prefabricated volumetric CLT modules made of spruce. Each apartment is made of two modules, one housing the living room, balcony and bedroom, the other the bathroom, kitchen and foyer. The use of prefabricated modules made it possible to cut the construction time on site down to six months and to reduce the exposure to weather conditions. That made it possible to achieve a higher quality in the end result. Working with CLT made it possible to create a building with a primary load bearing structure and frame fully made of wood. The modules are prefabricated in a local factory in Hartola less than two hours away from the site. The complex is built on a concrete foundation with indoor parking spaces on the basement level. To preserve the naturally hilly landscape of the site, as much of the bedrock has been left untouched as possible. The building follows the contours of the site to minimize disturbance to the underlying bedrock and existing vegetation. Wood is a locally available, renewable and recyclable material for construction. It also produces reduced emissions and provides remarkable co2 storage. Puukuokka has been awarded the Finlandia Prize for Architecture in 2015 and the Wood Award in 2015 as well as the Canadian Wood Design and Architecture Award 2015-2016, and the Resident Act of the Year Award in 2015. It has also been selected as one of the three highlighted projects in the Biannual Review of Finnish Architecture in 2016. Suvela Chapel is located in Espoo, in Suvela, one of the most multicultural districts in the metropolitan area of Helsinki. Cultural diversity is both a rich potential and a challenge to the community. Attention to the needs of the culturally diverse community is a core principle in the project. In the design for the Suvela Chapel, the goal was to create a building that offers opportunities for a rich variety of activities and provides a framework for the residents to come together in a flexibly adaptable space. The building is used jointly by the Parish of Suvela, the Swedish Speaking Parish of Suvela, and the City of Espoo and it is open and accessible to all regardless of their religious affiliation. The chapel offers an easily approachable space with a human scale and an inviting atmosphere. The building serves many functions providing a home base for many different kinds of organizations and forming a dynamic place of activity. It is first and foremost a meeting place that serves members of the parish and other groups of people in the community alike. Due to the relatively long, dark, and cold winters, communal indoor spaces play an important role as places for people to gather in Finland. Public buildings, such as schools and libraries, as well as churches and chapels offer spaces that are open to all. Providing schools, libraries and churches as places where people can come together in shared space has deep roots in the cultural tradition of Finland. The Suvela Chapel is part of this tradition. All functions are placed on one level, and the building wraps into a single U-shaped entity forming an intimate interior courtyard in the middle. The different functions in the building orient themselves around the inner courtyard. There are facilities for a range of different uses from kindergarten and childcare to spaces for the youth as well as for the local community clubs. The building offers office space for the employees as well as for social workers and family services. A soup kitchen providing food for a very low cost is operating in the premises as well. The chapel naturally also serves as a place for mass, concerts, weddings, funerals, and baptizings. The building is a hybrid structure with wooden as well as concrete and steel elements. A tactile sense of material has a deliberately strong presence both in the interiors as well in the exterior of the building. The exterior shell is entirely clad in copper to emphasize the unity of the varied volume of the building. Copper was an ecological choice of material for the exterior. It is both durable and recyclable, easy to maintain and therefore sustainable. It also ages well and acquires a beautiful patina over time allowing the age of the building to show. In that way, signs of time and age are visible in the face of the building and thus contribute to a sense of the building being “alive”. It is not mute or sterile, on the contrary, it has character and there is a sense of warmth to the building. Local spruce is the material used in the interiors. In the spaces for the children’s activities, wood is present also in the outdoor canopies that provide shelter from rain giving the children an opportunity to play outside even in rainy weather. The presence of wood is most prominent in the tall chapel hall where the walls are covered with wooden scantlings creating a warm and peaceful atmosphere. The Suvela Chapel was one of the four finalists nominated for the Finlandia Prize in Architecture in 2016. It has also been awarded bronze in the American Architecture Prize 2016. The Periscope Tower is a giant wooden periscope structure that serves as an observation tower engagingthe viewer in a dialogue with the landscape. With the help of a large mirror, the Tower makes it possible for everyone to enjoy the views of the surrounding landscape. The Periscope Tower is situated on the shore of a man-made lake built on top of a hill in the vicinity of the centerof Seinäjoki. The lake has been created to help keep the flooding in the plains under control, to generate energy for a power plant serving the city, and to form an attractive site for a new residential area which will provide homes for about 2000 people. The Tower is part of a larger project for reshaping the lakeshore, developed by OOPEAA for the Seinäjoki Housing Fair 2016. The principle of accessibility is at the core of the concept for the Periscope Tower. In the context of the newly developing residential area, the aim is to activate the dam around the man-made lake and to turn it into a recreational area serving the residents of the new neighborhood as well as others living in Seinäjoki region. It will be connected to a broader network of recreational paths designed to be accessible to everyone. The Tower shows that with a simple intervention it ispossible to turn a landscape once perceived as“wasteland” into one rich in value. The idea is to offer people an accessible way to experience the view over the lake and the surrounding landscape. Through an engaging experience it activates the viewer’s relationship with nature. Made entirely of wood, the building is composed of an inner core of cross-laminated timber (CLT) and an external wooden frame that serves as a load bearing structure. The inner core made of CLT forms the frame for an extra large periscope with stairs circling around it. When taking the stairs up or down one can experience a rich range of different views framed by the various openings cut into the structure. One can either climb up the stairs to enjoy the view over the lake and into the surrounding landscape from the viewing deck, or simply stay on the ground and get the view through the periscope mirror. The tower is composed of three prefabricated elements with the roof forming a fourth element. The facades and the stairs are made of larch. The details and the security netting are of steel. Wood was a natural choice of material for the structure as a locally available and ecologically sustainable material. The project also offered an opportunity to study new techniques and test the potential of prefabricated CLT elements. The idea was to create a simple wooden structure of high quality in a way that supports learning and reflects a commitment to empowering and strengthening the local community. The Tower makes use of local materials and provides an opportunity to strengthen local skills in working with wood. Constructed by students of a local school for building and construction skills, it offered anopportunity to study new ways of creating joints. The Periscope Tower was commissioned by the City of Seinäjoki, realized in collaboration with SWECO Seinäjoki and constructed by the students of SEDU, a local vocational school for building and construction skills. The Periscope Tower has been awarded silver in the American Architecture Prize 2016.